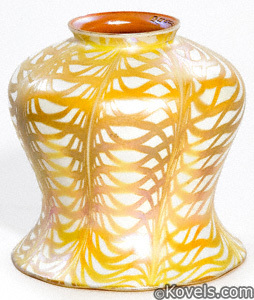 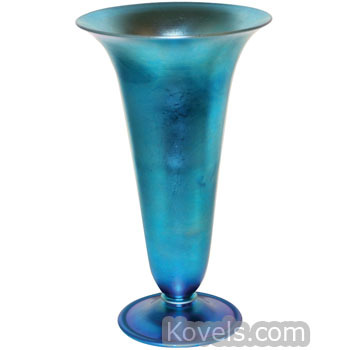 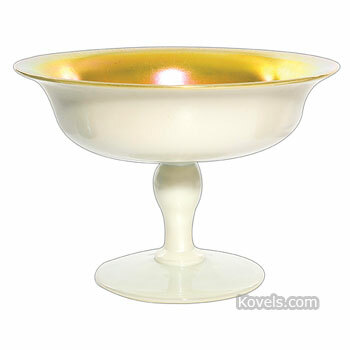 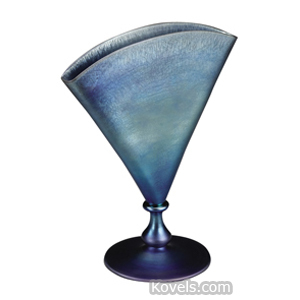 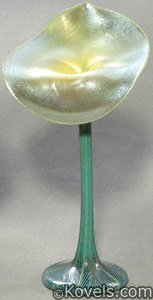 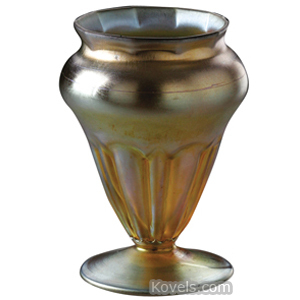 Aurene glass was made by Frederick Carder of New York about 1904. 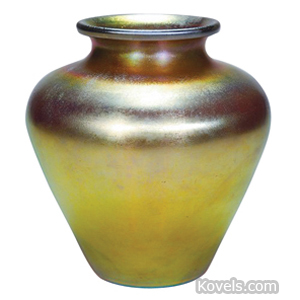 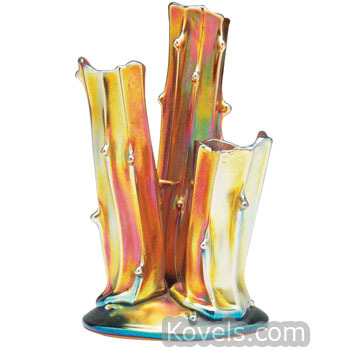 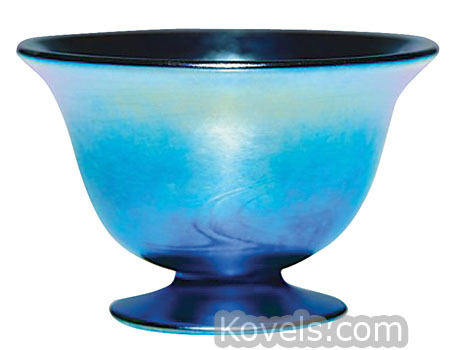 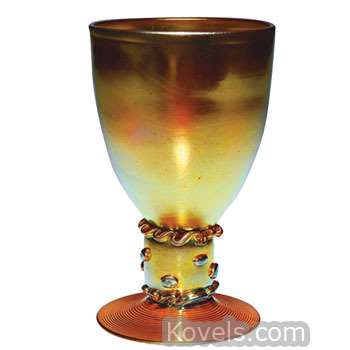 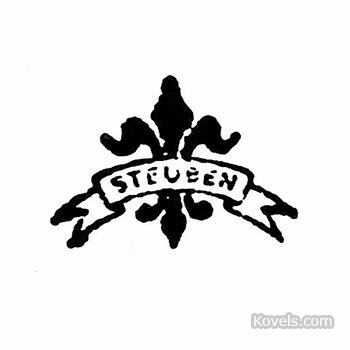 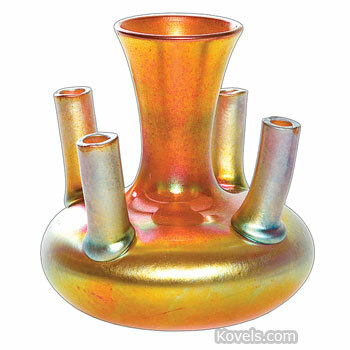 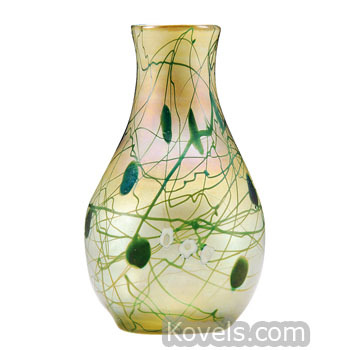 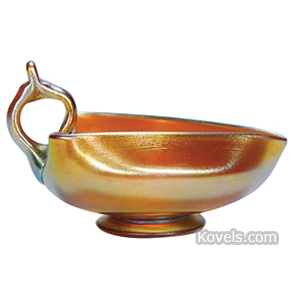 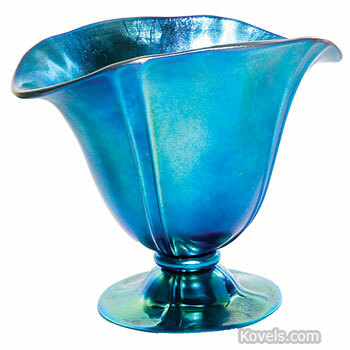 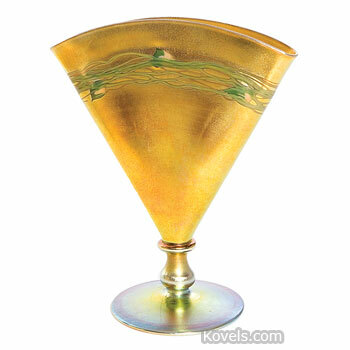 It is an iridescent gold, blue, green, or red glass, usually marked Aurene or Steuben. 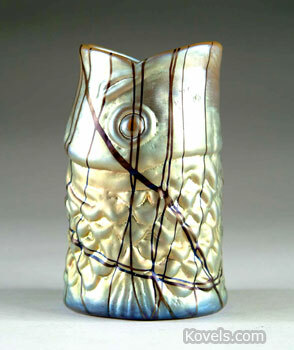 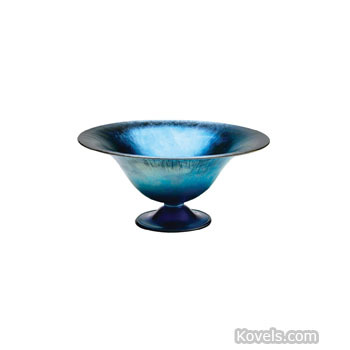 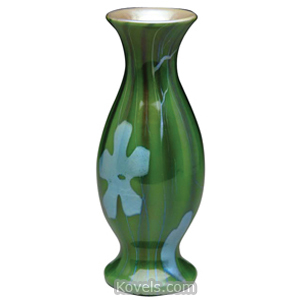 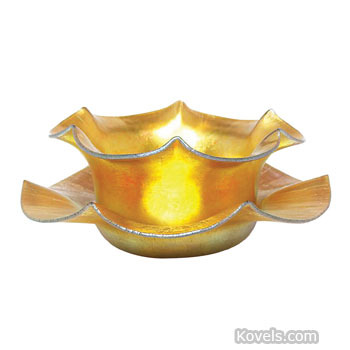 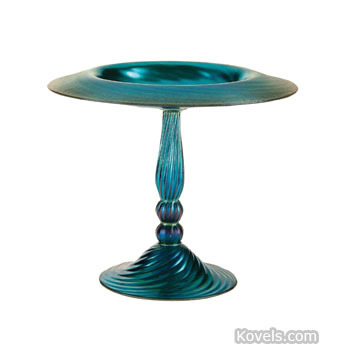 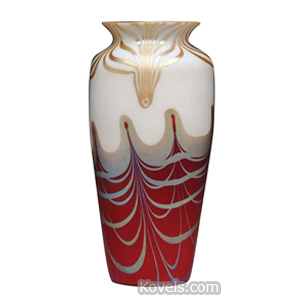 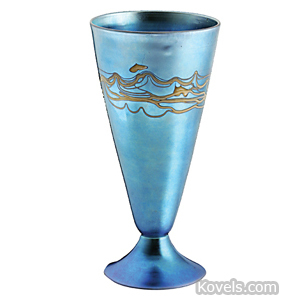 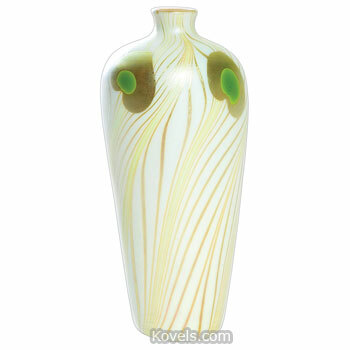 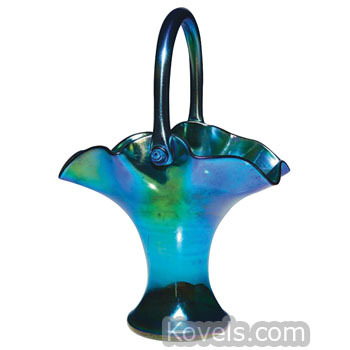 Aurene glass sometimes had swirled or feathered designs.